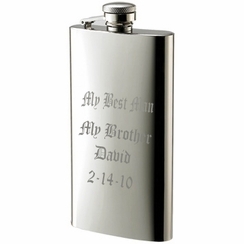 This thin profile stainless steel flask is built strong with a tethered cap and a unique wide-mouth pour for easy sipping and pouring. 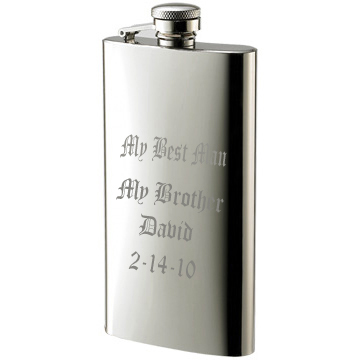 The flasks also has a large engraving space perfect for a name, initials or message to make it a personalized gift for that someone special. Size: 2 1/4" x 5 3/16" x 3/4"